Working alongside the pioneers in emotional intelligence. Interviews with key people in the field including Peter Salovey, Jack Mayer, Dan Goleman, Carey Cherniss, Marc Brackett, Helen Riess, David Caruso, and Josh Freedman. Peter Salovey and his colleagues share their insights regarding the history of emotional intelligence and the practical applications contributed by Chuck Wolfe. This is an excerpt of an earlier interview. Yale President Peter Salovey, University of New Hampshire Professor of Psychology Jack Mayer, and David Caruso, also affiliated with Yale, discuss the history of emotional intelligence and their collaboration with Chuck Wolfe. This interview is an excerpt and is 12 minutes long. The full interview is 53 minutes. Short segment discussing key aspects of coaching leaders and other individuals. Dan discusses the philosophy and theory behind coaching and Chuck talks about the practical application of his work to a Division 1 Basketball Team. Two callers, Rich and Cathy, with challenging situations. Rich is dealing with passive aggressive behavior at work and Kathy is dealing with dysfunctional relatives of her husband. The Emotion Roadmap, applied to both situations, helps them come up with effective strategies for moving forward. If you are wondering about the Emotion Roadmap and how it works, two callers, Rich with a challenging situation at work, and Cathy with a challenging situation at home, provide interesting and engaging examples of the application of the Emotion Roadmap. The Emotion Roadmap begins with understanding how people are feeling, then asks what would be ideal to feel, and then considers strategies to move from existing feelings to more helpful, ideal feelings. Have you ever felt like you had to be perfect? Maybe it was a job interview, a speech, a meeting you were leading, a performance review, a conflict, or a conversation to repair a relationship with a good friend or loved one. Many people struggle in life because they set unrealistic expectations for themselves. Listen to this Emotion Roadmap show to learn how being just good enough can lead to a better, more satisfying and enjoyable life. Rich calls to ask for help with his retired friends. A number of them have worked hard all their lives, saved what they could, only to find they don't have enough money to live the way they want. This has led to stress related deaths and some suicides. And no one is talking about it. Suzanne calls to talk about being an artist who always seems to focus on any imperfection in her art work. Vanessa calls to see if she get some help in controlling her anger with her son. Chuck Wolfe, the host of the show helps them all create some possible strategies to improve their situations by employing the Emotion Roadmap to help them accept being "good enough." Listen to songs by Freebo, an explanation of the Emotion Roadmap, a real time successful conversation with a woman who wants to trust her husband again, and a caller at the end who is perplexed and wants to know what women mean when they talk about feelings. How would you answer him? I would like to know your thoughts he might call back! I hope you find this 30 minute audio session to be entertaining, enlightening and educational. Challenges come in many forms both personal and professional. An expert in the field of emotional intelligence, Geetu Bharwaney, has combined the knowledge of what we are learning about this field with another topic from psychology called resilience. Key highlights from her book Emotional Resilience are available in this one hour interview on my radio show "The Emotion Roadmap." Are you feeling under pressure due to all the changes occurring in business and in your personal life? Are you worried about saferty? Are you worried about the the debt from your college education? Are you worried that you are about to retire and you may not have enough money saved? Are you worried about climate change and environmental damage? Are you concerned about the proliferation of guns, terrorists, and other mass shooters? Are you unemployed, under employed, or worried about losing your job? While this show doesn't answer all these questions it does address a key competency necessary for surviving and thriving, i.e., emotional resilience. Recently a colleague of mine, Dr. Marc Brackett, has been named as the leader of the new Center of Emotional Intelligence which will begin operation in Yale University in April, 2013. In the interview Dr. Brackett discusses the vision for the new center, how the center is based on the ability based model of emotional intelligence, how the programs to be offered will provide life long learning strategies for helping children in schools, and for helping adults in the workplace and throughout life enhance how they manage their own emotions, the emotions of others, and their emotional relationships. I worked with Dr. Brackett in a school district in New York. 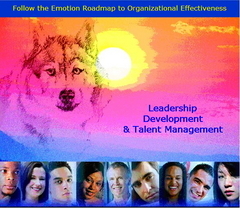 We combined the emotional literacy program he introduced with the Emotion Roadmap that I created. I started my professional career as a school counselor. I worked with affective education in the 1970s and saw very impactful results that made an enormous difference in the well-being of the children I had the privilege to work with. I am excited and inspired by the efforts Marc has made to improve the emotional intelligence of children. After the horrific events that transpired at the end of 2012 in Newtown, CT. more than ever I see the need to make social and emotional learning part of every school system at every grade level, for children, for teachers and administrators, and for parents. During the interview we discuss how people can work with Yale and the new center. If you enjoy listening to the interview please let others know about it and about the center's work. If you have the time please register and leave a comment. Two young women, Victoria and Carolyn, who are about to go off to college share their goals, hopes and concerns and get sound advice from Gail Syring, a student affairs professional at the University of Hartford. Topics include how to live with a roommate, make friends, stay safe, stay focused, maintain appropriate contact with family and friends at home, handle drugs, alcohol, unwanted sexual advances, manage stress and eat well. Gail shares a lot of insightful and useful information. Victoria and Carolyn are both graduates of Staples High School in Westport, CT and they are engaging young women about to begin the next big chapter in their lives. We hear from all three about the transition from leaving home and high school and going off to college and a new destination to live. 6 Seconds is a global organization and network supporting people to create positive change - everywhere, all the time. With offices in ten countries and certified associates in over 70 nations, 6 Seconds is a world leader in implementing emotional intelligence strategies in all types of organizations, including being one of the leading providers of social and emotional learning in schools. In this interview I discuss with Joshua Freedman, Chief Operation Officer, and Susan Stillman, Director of Education, Global Office, the profound impact of the horrific events that occurred in December, 2012 in Newtown, Connecticut, and how organizations like 6 Seconds are working to make the world safer, in part, by introducing emotional literacy and social and emotional competencies to students, teachers, administrators and parents. 6 Seconds in over 15 years of global experience and extensive research has found that the scientifically-based skills of emotional intelligence are learnable. They have found that by teaching people about emotional literacy and social and emotional competencies they have seen improvements in quality of life, relationships, emotional wellbeing. They have also found that their curriculum and strategies lead to improved academic performance, higher test scores, and an enhanced feeling of community among students, teachers, administrators, and parents. I have known and worked with Josh Freedman over the years and I highly respect his energy, intelligence and passion for the work. He is a highly talented speaker, consultant, author and trainer. Most recently he has organized a major conference on emotional intelligence at Harvard University scheduled for June of this year. Susan is a consummate educator, researcher, author and leader who is helping educators worldwide implement social and emotional learning. If you wish to know how to improve the schools where you live and you want some practical ideas on how to become more emotionally intelligent yourself, I hope you take the opportunity to listen to our interview. And if you find it meaningful please share it with others. Enjoy! According to the World Economic Forum’s Future of Jobs Report, emotional intelligence will be one of the top 10 job skills in 2020. Show starts with reasons why doing for others is uplifting. Most of the show is dedicated to discussing concrete ideas for developing emotional intelligence. A colleague of mine, Harvey Deutschendorf, in an article for Fast Company called 7 Reasons Why Emotional Intelligence Is One Of The Fastest-Growing Job Skills wrote about the need for increasing emotional intelligence. I focus on Harvey's key points and provide examples of how to improve and enhance your individual emotional intelligence skill set at work. As part of the explanation on how to get along and cooperate with others I spend some time discussing the situation in the NFL regarding kneeling during the Anthem.